The following post is sponsored by Sleep Number. Before the forecast was filled with promises of freezing rain and icy roads, we planned to travel this weekend to visit family. My son is our family newscaster and shared with us that time will be changing this weekend, but after sharing he started asking questions. I told him of the mnemonic I learned as a child that I still use to help me remember which way to turn our clocks for daylight savings time: "Spring Forward Fall Back." Sleep Number shared these tips to help make the adjustment to your schedule a little easier. 15 more minutes-According to new national sleep survey from Sleep Number, over half (54 percent) of the respondents don’t feel they are getting enough sleep to be at their best. And when we lose an hour of sleep due to DST beginning, that sleep loss is even more evident. To make the time adjustment easier, don’t boil the ocean; start going to bed 15 minutes earlier than the night before… do this for 3-4 days. Live in the future-- On Saturday, live your life as if it's already an hour ahead. For example, drink your last cup of coffee at 11 am (because that is really noon). Since caffeine has an approximate half-life of 6 hours, you don’t want to consumer caffeine after noon as it may impede your sleep. Put down the screens-- Survey results indicate that people who use devices in bed are more likely to feel they don’t get enough sleep (51 percent). Always make a screen-free zone about an hour before bedtime, which gives the eyes and mind time to relax before getting shut-eye (and allows the sleep hormone melatonin to trigger sleepiness). People in the Western region of the U.S. are the biggest tech-in-bed offenders, with 66 percent of respondents bringing devices to bed. Monitor sleep to improve it--Fifty-eight percent of people wish they knew more about how to improve the quality of their sleep, yet only 16 percent actually monitor their sleep (versus 41 percent who track exercise and 43 percent who track diet). And, women are more likely to focus on improving their sleep compared to men. Sleep Number’s SleepIQ technology offers a simple solution to those who want to know better sleep. 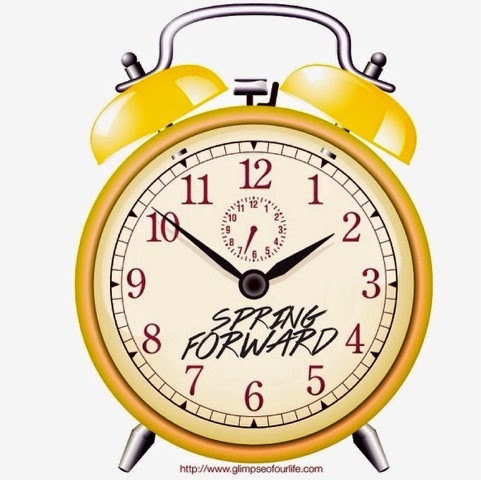 Daylight Savings Time begins Sunday March 8th. We are a family of night owls, and we are all looking forward to daylight lasting a little longer in the evenings after my husband gets home from work. Do you look forward to daylight savings time or dread the hour of sleep that you will lose? Disclaimer: This blog post is a sponsored post for Sleep Number. This is disclosed per FTC guidelines.